The "Nicotine Monster" does exist! The term "nicotine monster" was created by manufacturers of nicotine replacement products - gum, patches, inhalers and now the spray. The term was created because it seemed like a cute way to talk about addiction. Nicotine addiction is real and strong and nothing to make light of. It is not cute! This is sad - IT IS NOT CUTE!!!!! It seems that everyone wants to make light of something that is actually very serious! 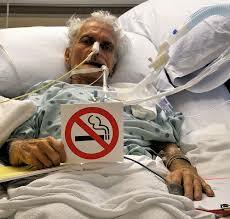 This poor man battled the nicotine monster for years! The addiction is so powerful that if you slip up just once you have to start all over again at day one of quitting because you wake up the monster. Whenever you let the nicotine levels in your bloodstream drop too low the monster starts to react - and it hurts! So you feed it. It is so strong it is easy to make excuses to start smoking again. You make excuses like - you are stressed at the moment, there is a lot happening in your life, it is just not the right time. One of the classic excuses is that you might gaining weight. Why worry about putting on weight? 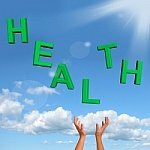 If you can find the willpower to quit smoking then you will find the willpower to lose weight later on - and how healthy you will feel! Whenever you experience the rage of the nicotine monster you feel angry and stressed and even experience feelings of anxiety. In order to satisfy those feelings you smoke a cigarette and the calming effect it has on your craving is so huge you actually confuse this feeling with enjoyment. You convince yourself that you enjoy smoking. What you are really enjoying is the feeling of satisfying your craving for a drug! I believe there are millions of smokers who are kidding themselves that they actually love smoking when in actual fact - they hate it!. No one wants to admit to themselves that they have an addiction because it is the same as admitting that you have lost control over some area of your life. The simple truth is that order to stop smoking forever you have to suffer the nicotine withdrawal until the nicotine addiction has disappeared completely. The frustration of the constant merry-go-round of high nicotine levels that bring feelings of satisfaction followed by low levels which bring stress, anxiety and anger are absolutely horrific to anyone who is serious about wanting to quit. It is at these times of stress and anxiety that seeking out one of the many natural therapies such as hypnosis can be of huge benefit. Some people are put off by some of the many therapies available because they don't believe they will really do any good but I think it is worth giving anything (within reason!) a try. Killing off your nicotine addiction is a massive job and you will need understanding and support from family and friends. It is the hardest thing you will ever do but when you are successful it will be an amazing achievement. I gave up 7 years ago and I am still patting myself on the back and because it was so hard I know that I will never puff on a cigarette again and resurrect the nicotine monster! Around the world there are some great Government websites created to ease the guilt that the government must suffer from when enjoying the taxes that tobacco products bring. 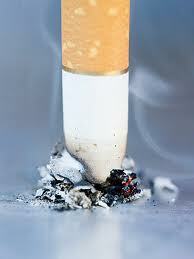 In Australia our government makes so much money from cigarette smokers we would be in big trouble if everyone quit! Do yourself a huge favour and visit these websites - there are some great success stories and you might find the inspiration you need to quit. Return from "Nicotine Monster" to "How to Quit Smoking"